A helmet is the most important piece of equipment a rider can have while using their motorcycle. While we hope your helmet is never tested in a crash, we want to be sure you are fully protected if anything were to happen. What Can a Helmet Do for You? Helmet use is surely not a “cure all” for motorcyclist safety, but does help prevent accident injuries to vital parts of the body including the brain, neck, and face. A helmet is effective 67% of the time in preventing brain injuries according to NHTSA. A helmet can also make motorcycle riding more enjoyable by cutting back on windblast to the face and noise. Helmets deflect bugs and provide protection during changing weather. And by wearing a helmet you show other riders and drivers that you are a responsible rider taking yourself and your safety very seriously. According to the R.I. Department of Transportation, most than half of all motorcycle fatalities involve un-helmeted riders. A motorcycle helmet will not do any good if it is not fitted properly. To find the correctly sized helmet for you, measure the circumference of your head above the eyebrows and apply your measurement to this chart from the Motorcycle Safety Foundation. Look for a DOT sticker on your helmet which means that it meets the Department of Transportation’s standards for on-highway use. It is not recommended that you wear a helmet without this sticker, which could indicate an inferior helmet with substandard protection. Is Your Helmet Still Safe? Follow your manufacturer’s instructions for cleaning your helmet, but note that harsh cleaning products can degrade the helmet, particularly if it is polycarbonate. If your helmet was in a crash, you should most likely replace it or at least send it to the manufacturer for inspection and repair before using again – most manufacturers provide this service. Finally most manufacturers recommend replacing the helmet every few years because use and exposure to the elements can degrade its protective properties over time. New operators during the first year of licensure, regardless of age. All passengers, regardless of age. 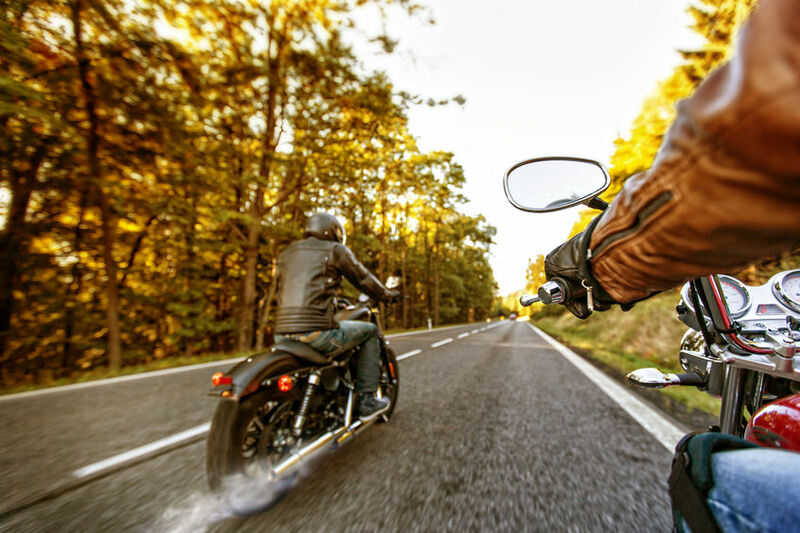 In Massachusetts, motorcycle helmet use is required for all riders and passengers. Attorney Mike Bottaro has years of experience representing clients in motorcycle accident cases in Rhode Island and Massachusetts. If you or a loved one suffered personal injuries in a motorcycle accident, contact us today to schedule your free consultation.